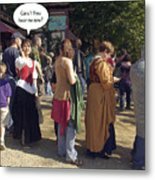 Thanks for that medieval laugh JoDee! 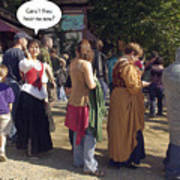 2D speech bubble image of a period dressed medieval times wench is communicating on a cell phone. 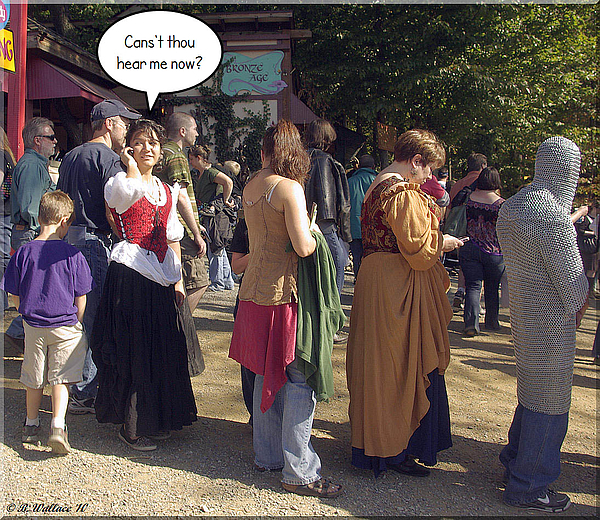 The speech bubble has the text "Cans't thou hear me now?" which makes reference to the huge advertising (Can you hear me now?) 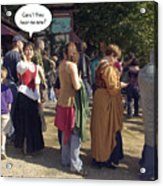 ad for Verizon.